Regardless of your quilting experience, this detailed tutorial will explain all you need to know to create a beautiful quilt block. The disappearing 4 patch is a simple and elegant pattern you can use for just about any quilting project you can think of. 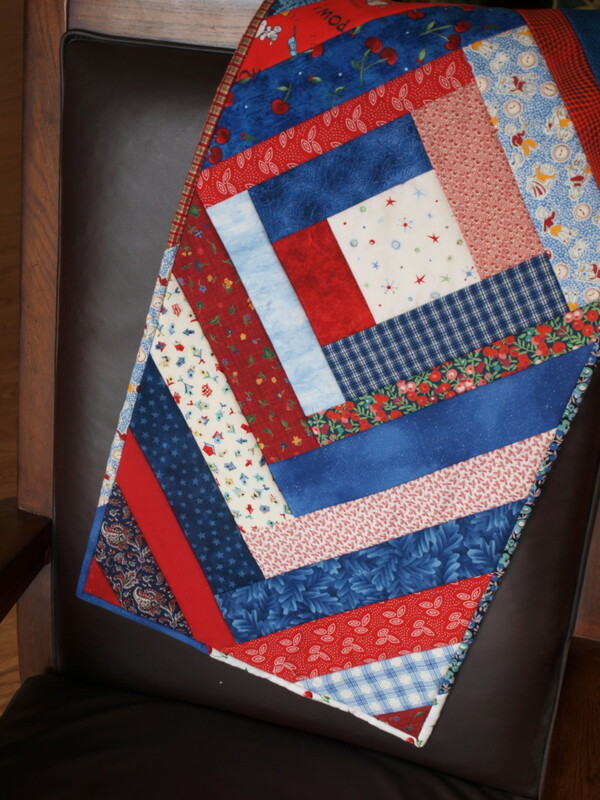 If you're new to quilting, try a small project to start. 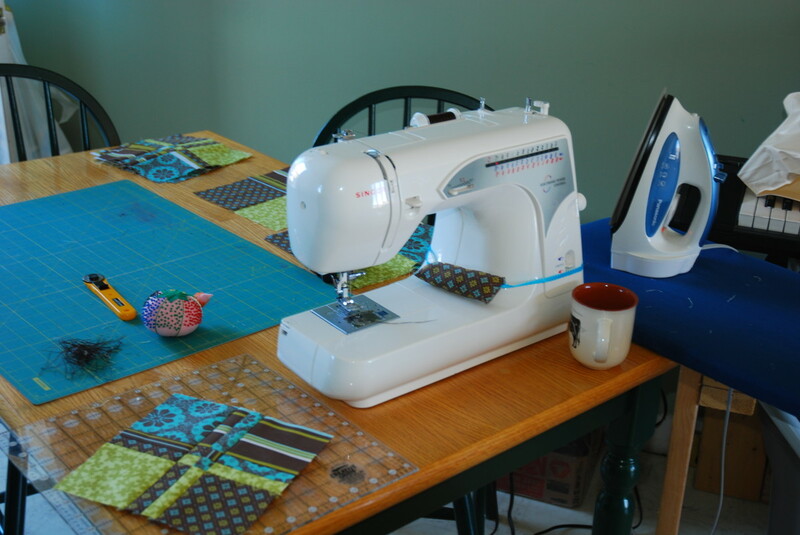 You can try making a few simple placemats, or even a window treatment. Before you begin, make sure you have all the necessary equipment you'll be needing for your project. Set yourself up in a comfortable spot and try keeping everything close enough that you don't have to move around too much. 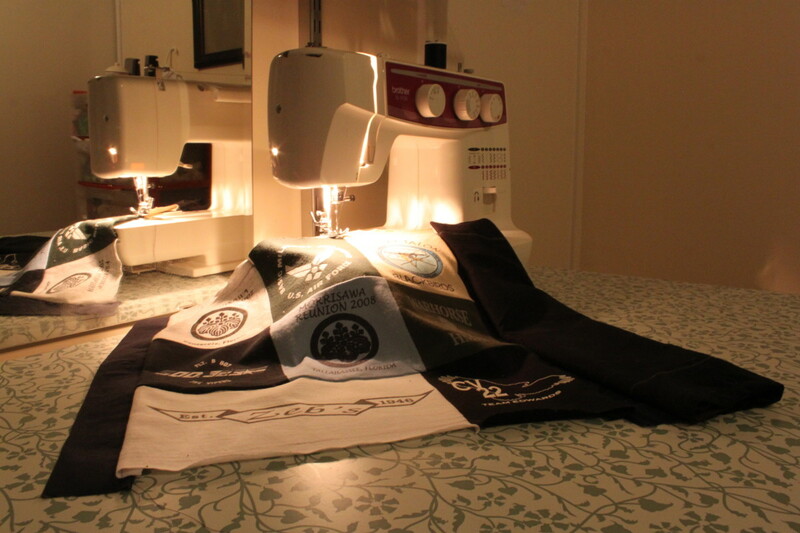 Now get your iron ready, thread up your sewing machine, and go put on your favorite tunes! 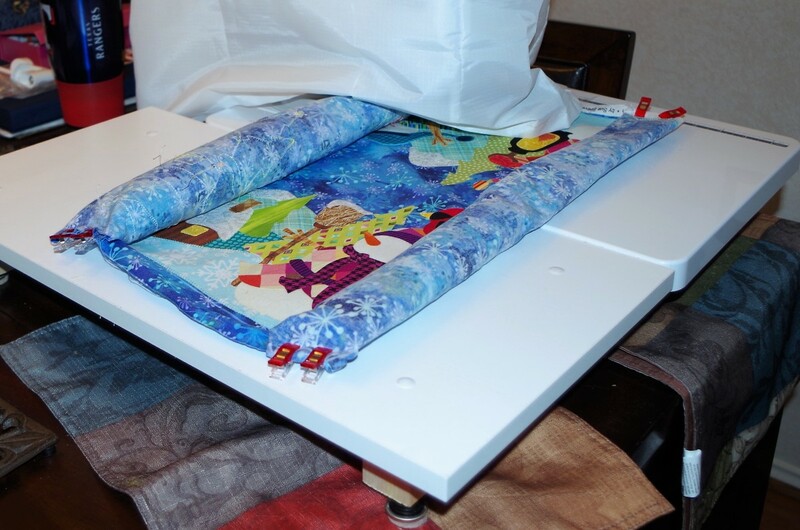 * You can purchase pre cut 5" squares at most fabric or quilting supply stores. 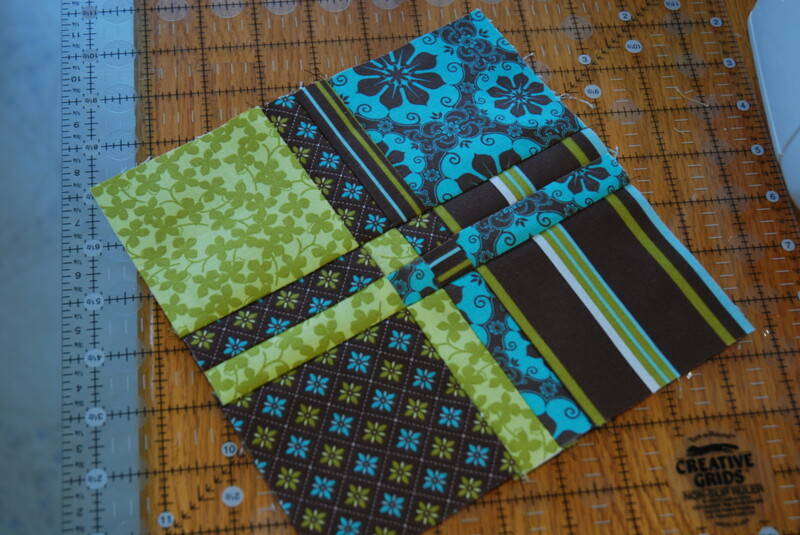 Or if you prefer, you can cut squares from fabric you already have. Use either 2 or 4 different fabrics to create the look you want. My workstation. Everything I need is within arms reach. Pressing is the single most important thing to do when it comes to sewing. It makes your lines crisp and clear. It's much easier to join two pieces together when you can tell where all the seams are. There are two steps to this process. Once I sew two pieces together, I press the seam that I just sewed. This first press will be on the wrong side of the fabric. The second press is done on the right side of the fabric and is made by lifting one edge of the fabric and pushing your iron over the seam. Remember that if you're using a very light colored fabric you might want to flip the seam towards the darker colored fabric so it doesn't show through. A word about placement now: I cut my own squares, so not every square is perfect. The best way to get around this is the placement. When you're sewing two pieces together always put the smallest piece of fabric over the larger one. Center the two pieces as best you can and line up the edge you're going to sew. I don't usually bother pinning with short seams because the fabric tends to stay in place. I do use pins for longer seams though, just to keep everything lined up. When you have to sew over two joining seams, line them up well before sewing them together. If they don't line up you're going to have crooked corners. You can expect that it won't be perfect at first, but you'll get better over time. If the fabric seems to stay put too well when you want to make minor adjustments, just wet the tips of your fingers. It'll give you that extra little grip you need. 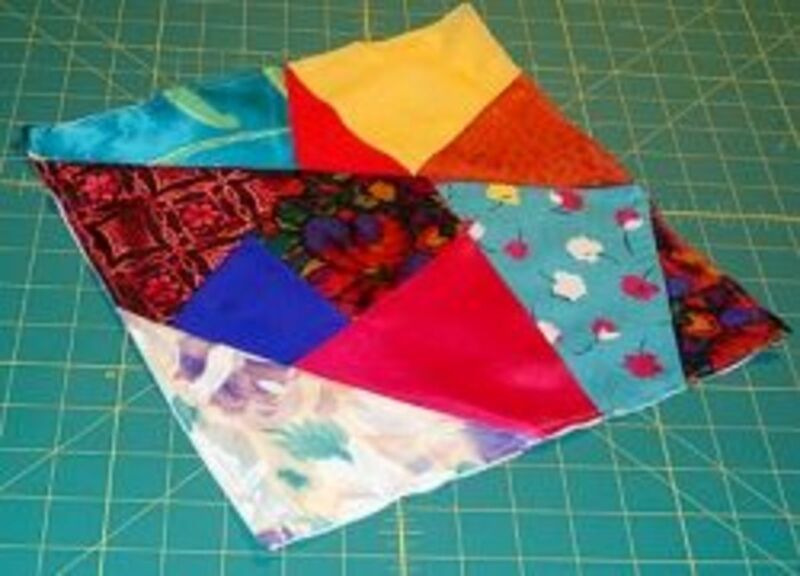 Grab four of your 5" squares of fabric and lay them out to see which go best in which configurations. Once you like the way they look, sew your squares into a block. This becomes the base of the pattern. 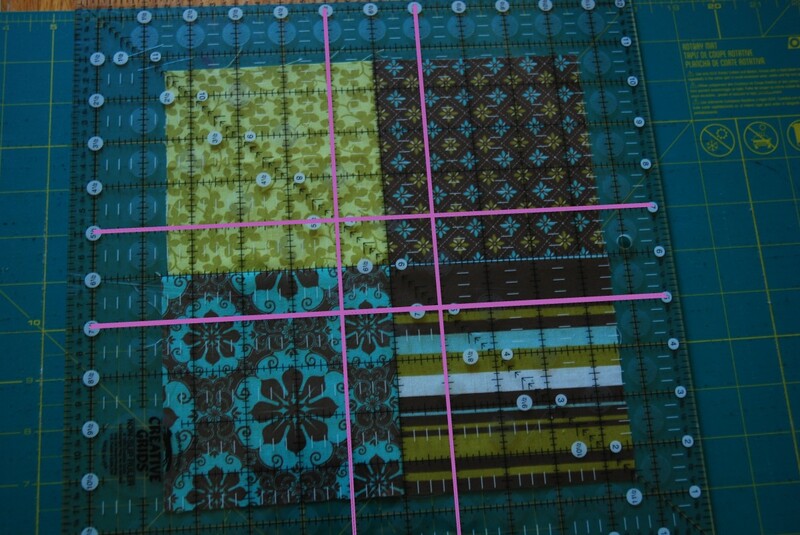 Next, lay your block on the cutting mat so the seams line up with the grid on the mat. You are going to make 4 cuts to create the pieces needed to rearrange your block. Using the clear measuring grid, measure and cut 1 inch from the center in every direction. 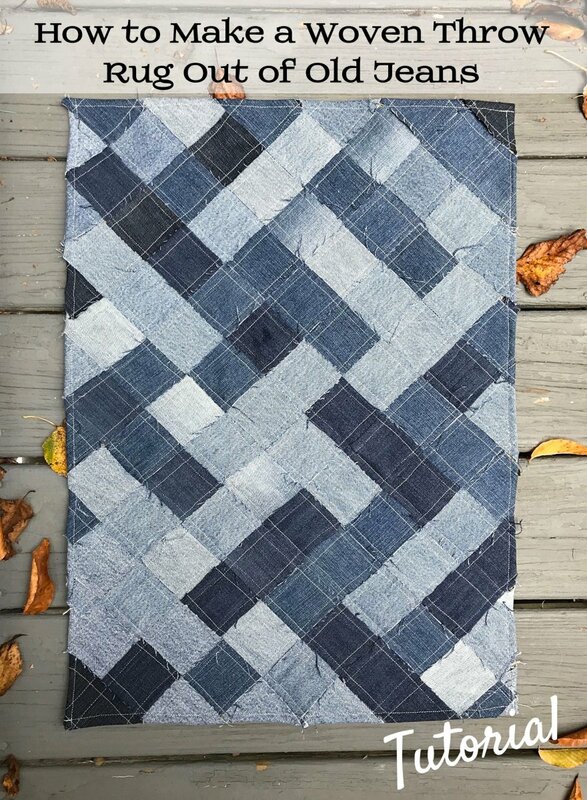 This creates nine pieces; four large corner blocks, four rectangular pieces with a seam down the middle, and one center piece joining the four fabrics. I swap the left corners for the right corners, then flip my center 90 or 180 degrees, but you can arrange them however you think looks best. All squared up. I drew in the cut lines in purple. I sew my quilt block sort of like I read a book - from left to right and from top to bottom. 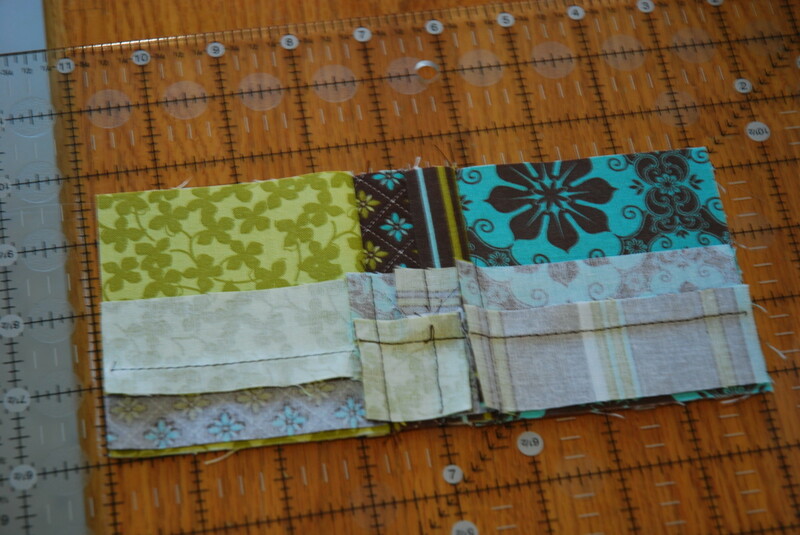 So say you have a block cut up into 9 pieces, you sew the top three pieces together. Then you sew the three middle pieces together, and finally, the last three bottom pieces. 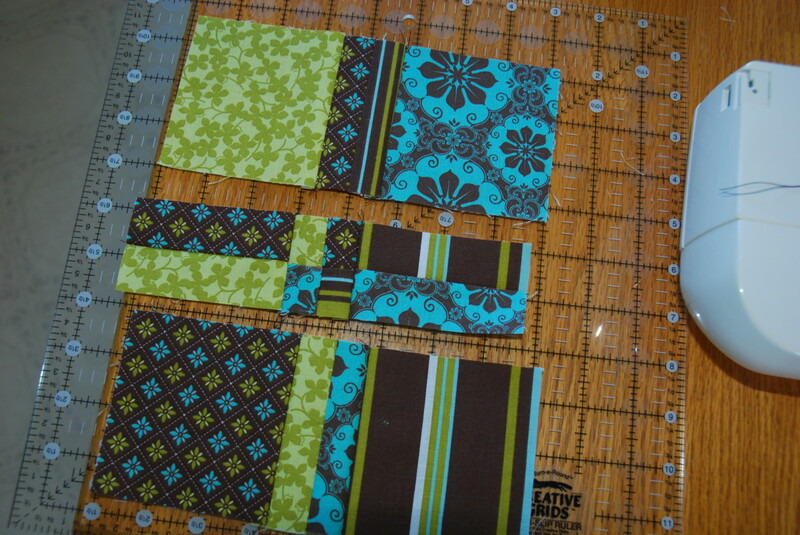 Once you have these three strips, sew them together to create your block. Don't forget to press every seam! 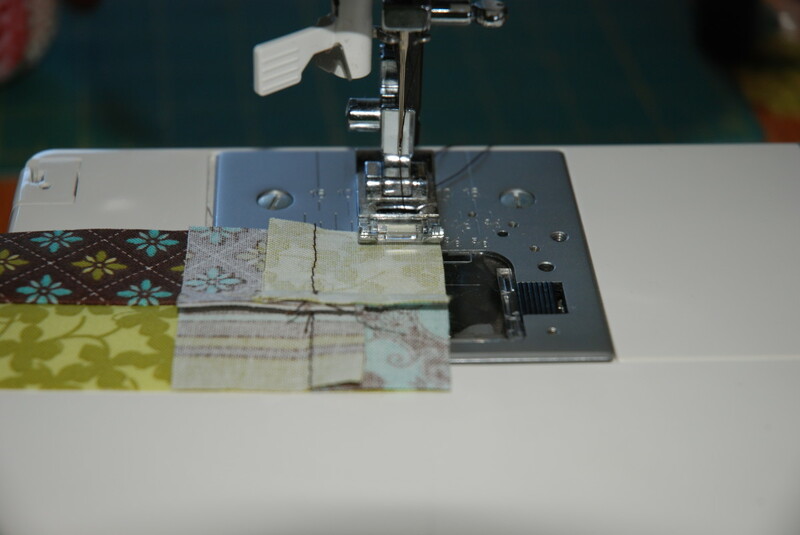 Sew the pieces together in strips, then into blocks! And Voilà! Always lay the small piece over the large piece to line up fabrics (I exaggerated the edge in the picture so it would be clearer to see). So there's my quilting tutorial. If I'm missing anything or if you'd like some clarification, just leave me a comment. And please, feel free to show me some of your own tips and tricks! 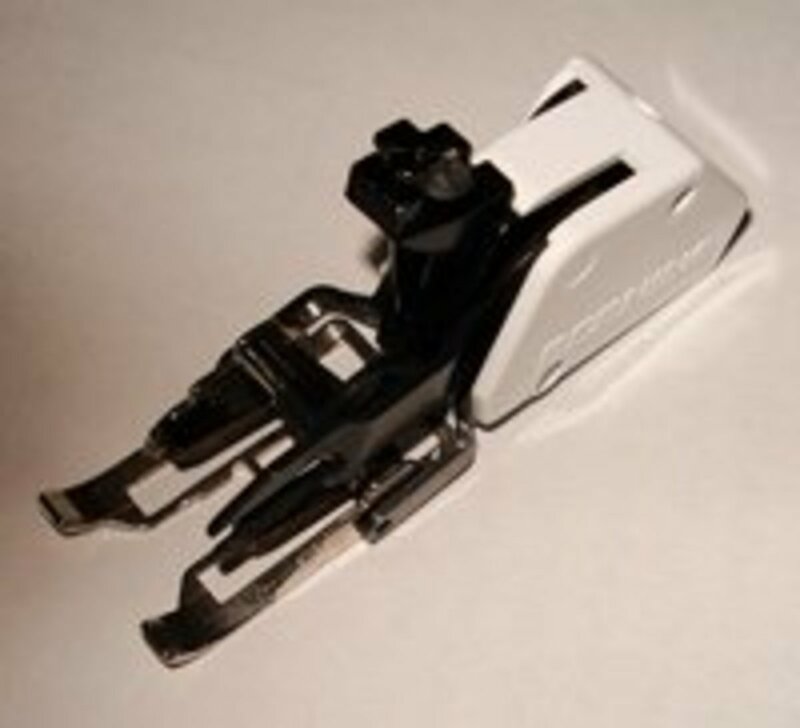 What Is the Walking Foot on Your Sewing Machine Used For in Patchwork/Quilting? As a beginner Quilter, this really caught my attention. I love, love the fabric, and your explanation is wonderful. I would have liked to see the complete quilt to know how you proceeded with it. Thank you so much, you give me hope that maybe I can do this. That's really cute - I like the woven effect. I'm becoming more interested in quilting so I can design different bags. Thanks much for this tutorial with photos that help me see what would otherwise be confusing to my brain. I love these colors! I can already see the beautiful quilt that will make. I've been into the fabric stores many times and seen these. I've always wanted to try something like this, but never thought it was possible. What a great article to make this process easy for someone like me! Great job! Thanks for your comment! I'm glad you like it. 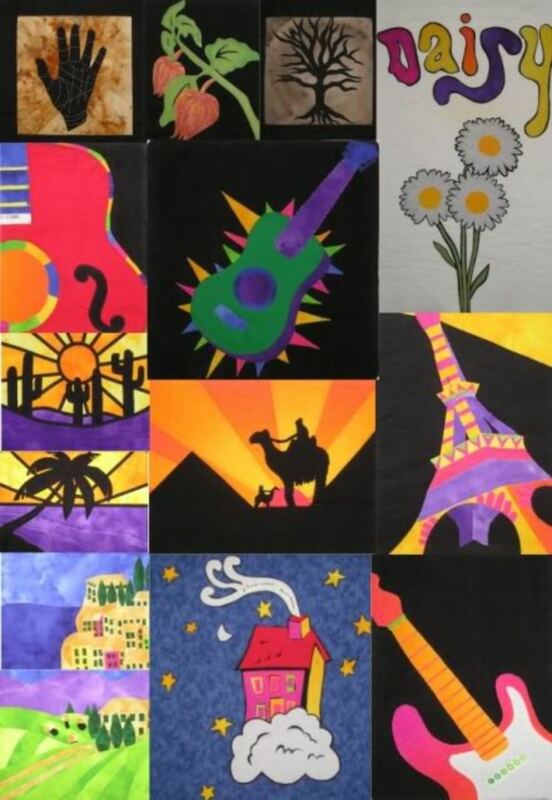 This is a wonderful quilt block project! 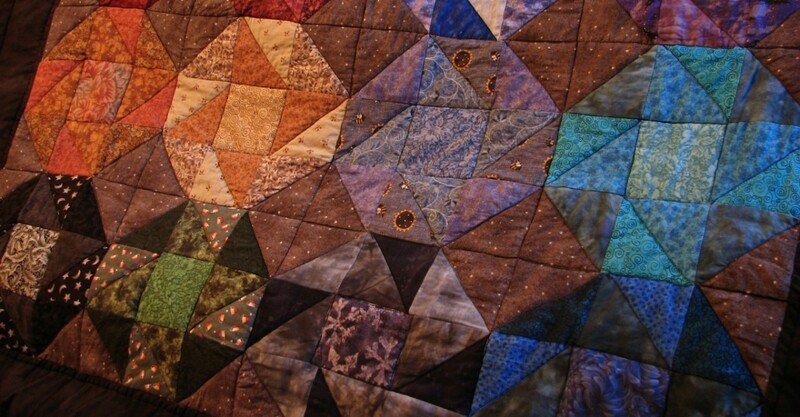 Sadly, I don't quilt :( , but I can certainly appreciate the beautiful design of this block. I can see using this design block for a number of projects. Great job! Voted up! !